Only 3 days of school left and one last project up on the bulletion board. 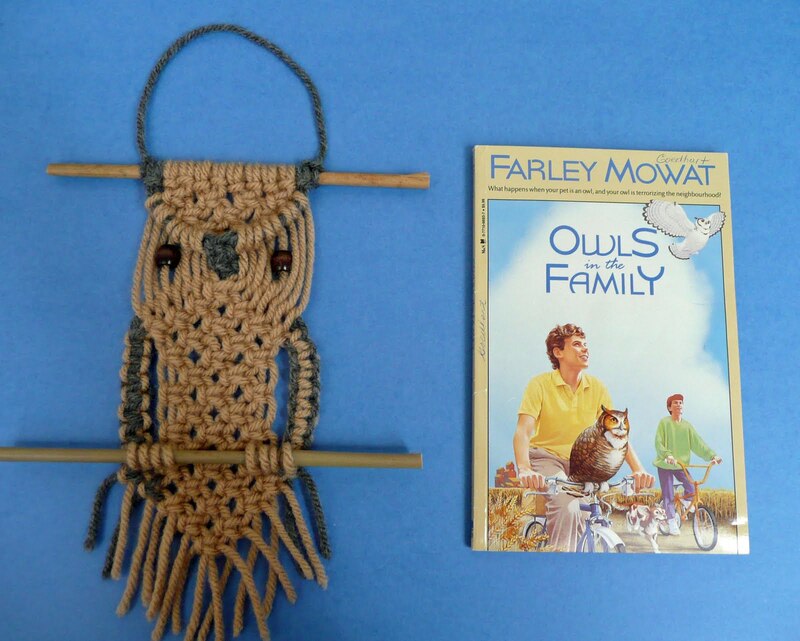 Grade 4 was studying this Farley Mowat book in Language Arts and the teachers and I decided it would be a good tie in to have each Grade 4 student macrame an owl. Each finished owl ended up being about 14 inches long. Before I could teach the kids to do an owl we needed to learn our square knot. I gave each student these instructions.....I color coded mine to help them along. 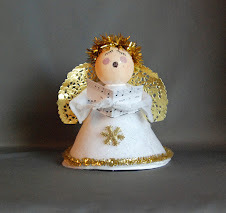 CLICK ON PICTURE TO SEE LARGER AND PRINT FULL SIZE. 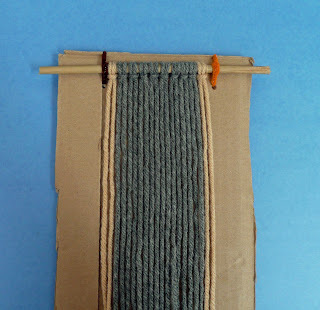 I then cut 4 lengths of yarn about 30 inches long...1 blue, 1 red, and 2 yellow. Those of you in the states could easily do red, white and blue if you prefer. 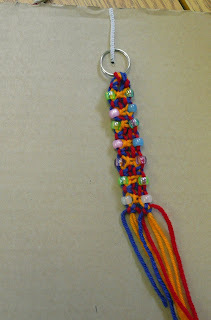 I took the four lengths from the middle and tied them onto a key ring. Looking like this. I then took some sturdy cardboard measuring around 9and a half by 11", poked a hole near the top with a skewer and tied the ring onto the board with a pipe cleaner. This gives each student a portable and neat way to keep their work organized and can easily be stored in their desks. We then tied a square knot in the first 4 cords (1,2,3,4) and another in the second 4(5,6,7,8). 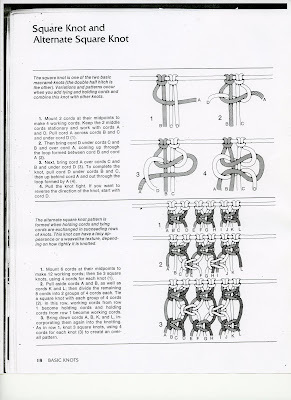 I then had them put the first 2 cords off to the side as well as the last 2 and we tied a square knot in the middle(3,4,5,6)...an alternating square knot. 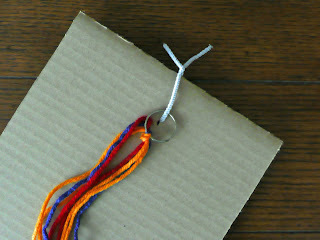 We then strung a bead on cords 1 and 2 as well as cords 7 and 8. 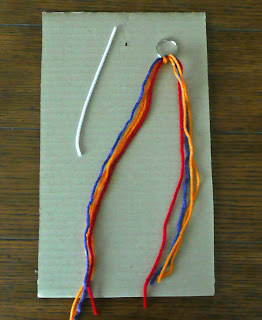 An easy way to string the beads on is to lay the ends on top of a length of pipe cleaner, fold the pipe cleaner over the cords once and then push the whole thing (cords and pipe cleaner) thru the bead hole. Having the whole thing color coded worked great! 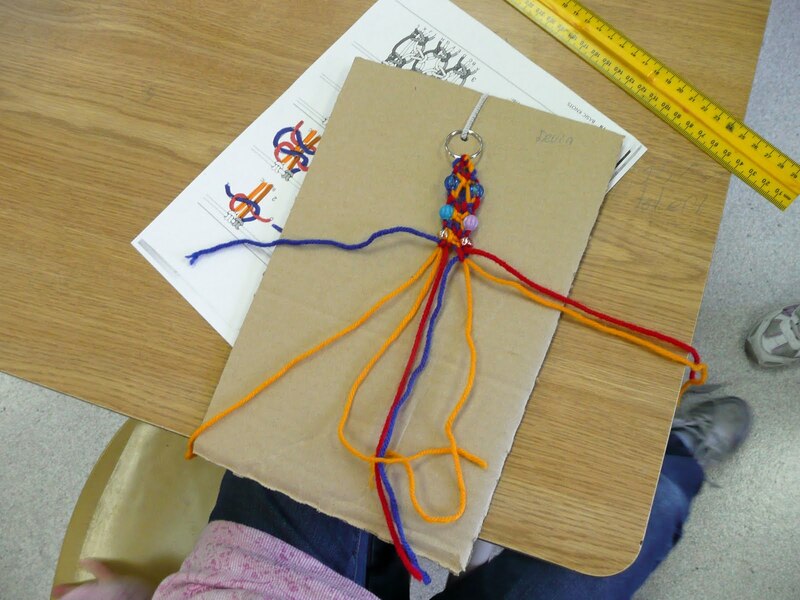 The student continued with the 2 square knots and then the alternating center knot all the way down leaving about 3 inches left on the end with which we tied a tassle knot. They were able to get about 7 to 8 rounds. 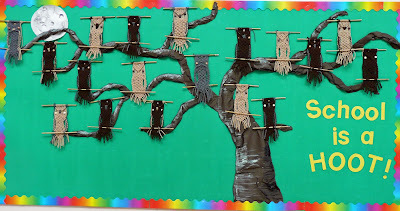 Now we were ready to try our hand at the owls. 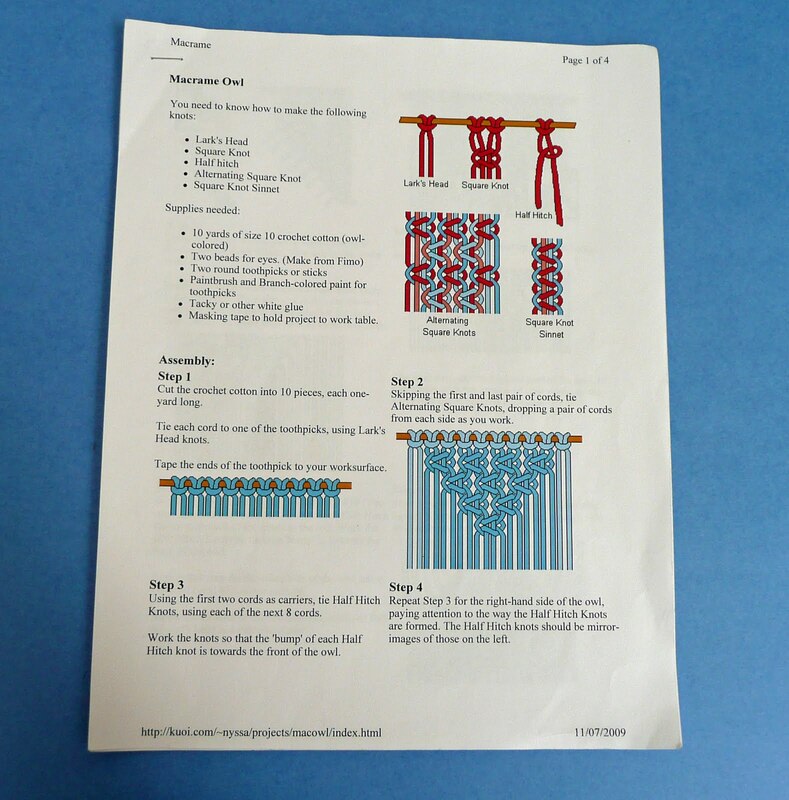 I printed off a set of instructions for each 2 students from this link, UPDATE: old link was broken but this one is pretty good : Macrame Owl Directions. We also had these directions on the overhead and smart board for the kids to follow along. I found some nice bulky yarn at Wal Mart...a huge ball (480 metres) cost about $7.00 and I only needed 3 balls for 38 students. 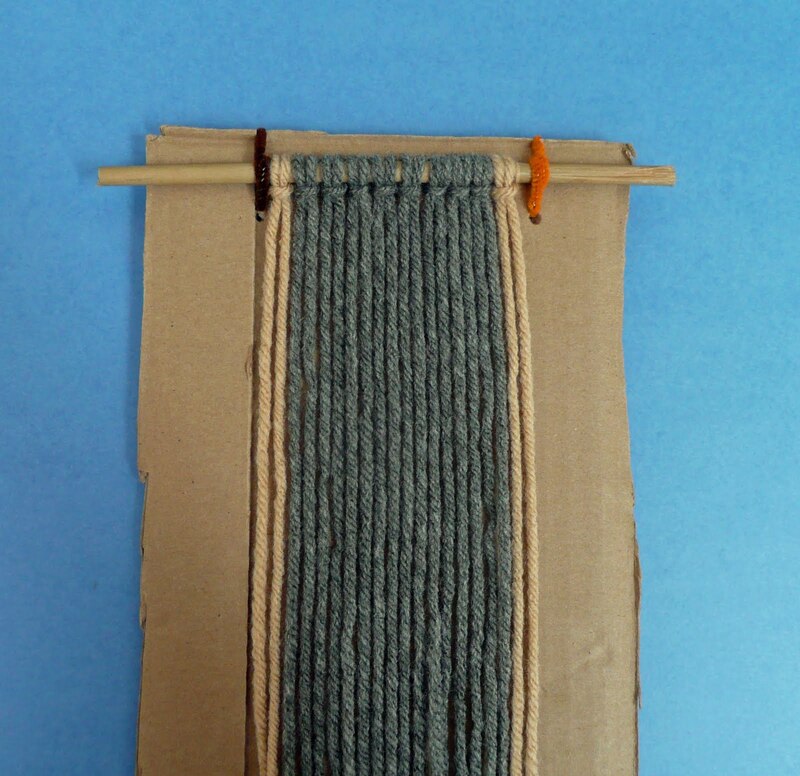 Mrs. G at school cut all the lengths of yarn using a table length (about 1 metre) as her guide. You need 10 for each student. We used natural bamboo plant stakes from the garden centre cut into 8 inch lengths and tied on our yard. We then secured this to our piece of cardboard using 2 pipe cleaners. Your set- up should look like this. 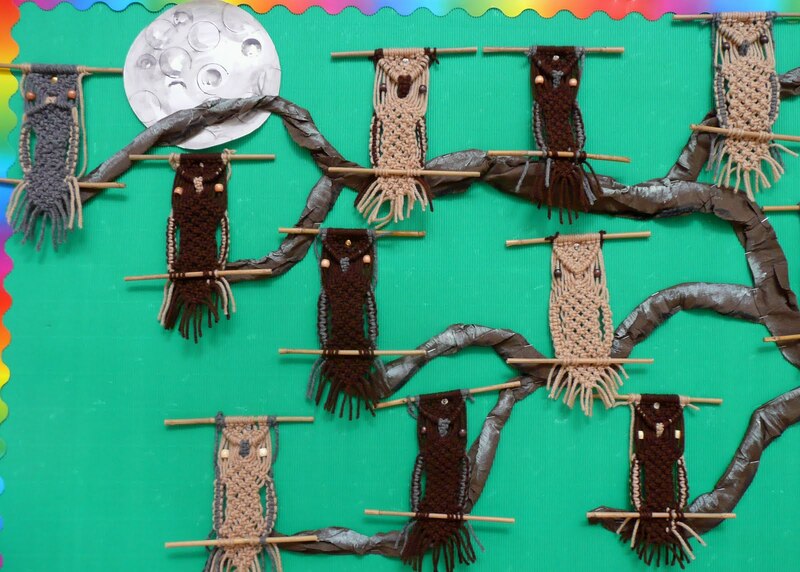 We then completed our owls over several sessions. In the beginning we followed along as a class but as the students got the hand of it they could work at their own pace. 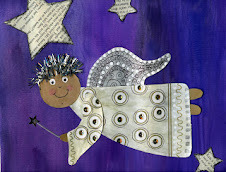 Some kids choose alternating colors for the wings for some extra interest. 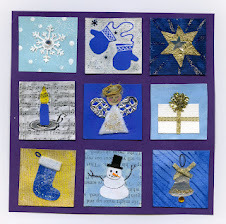 Here is the final display. The kids had a great time...very proud of their Owls....and the adults had a great time remembering our macrame experiences as kids in the 70's. 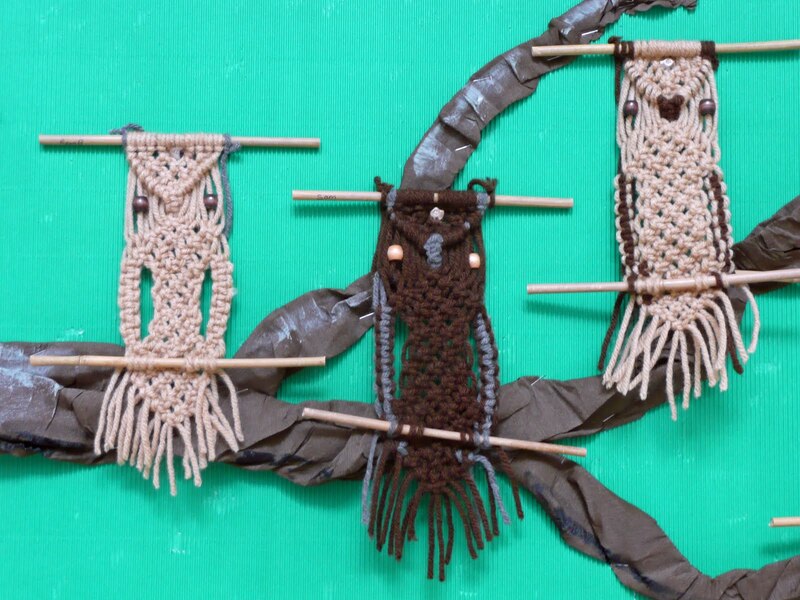 Why not try incorprating Macrame into your art program...see you next time. They are so beautiful. 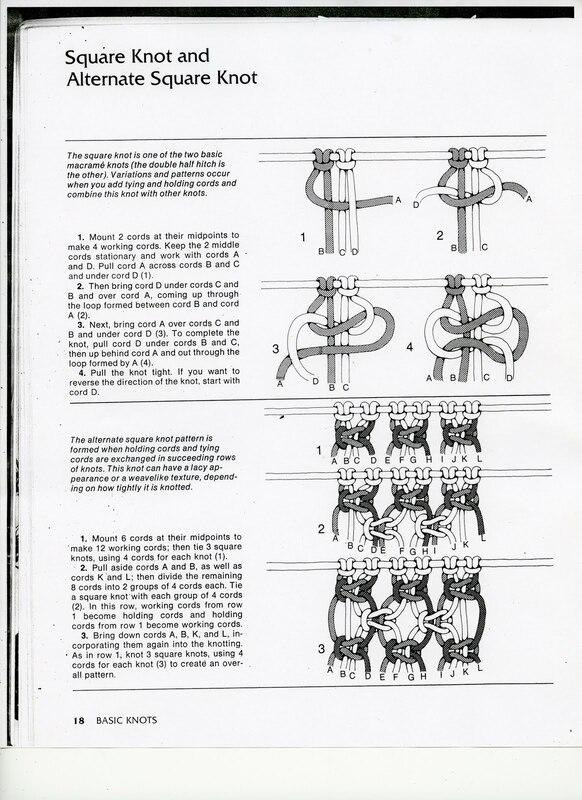 I remember learning this on the school bus from the older kids, we called it knot-knitting. Thanks for bring back a memory. Oh gosh this brought back memories! We learned to make these in girl scouts back in the 70's and we loved them. 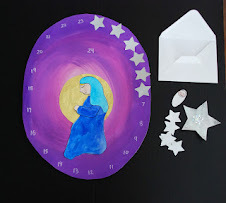 Great project for kids! 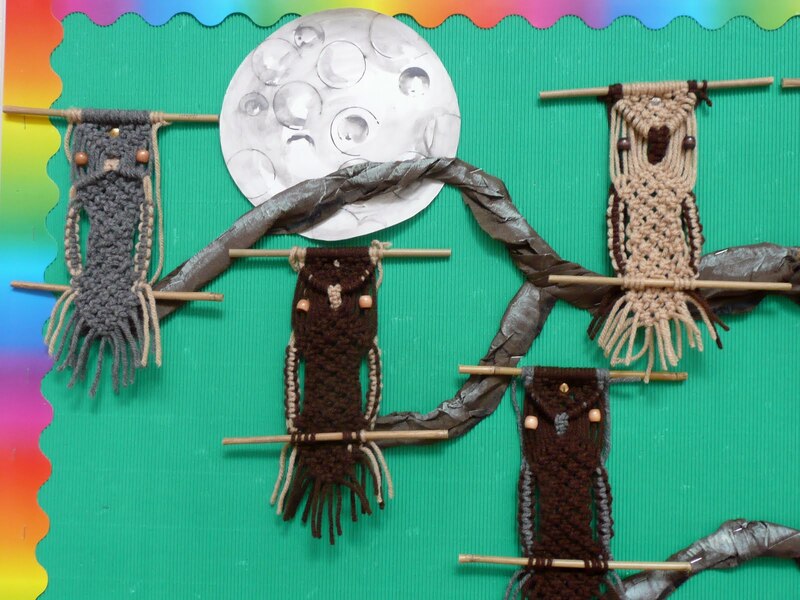 I made zillions of Macrame planter holders! how come I missed out on this adorable owl? I am thinking that if I used very thin cord, i could make them as tree ornaments. Thanks for all the help and info. I will let you know! This really takes me back. 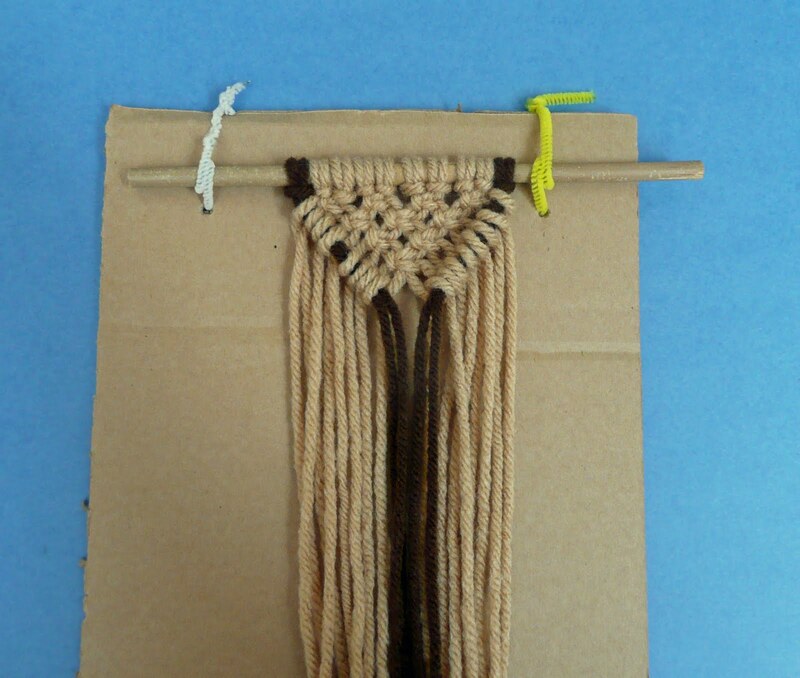 I haven't done macrame' since the mid 70's. Glad to see there is interest in it again. You really spark creativity in others through your blog. Thank you for this post. 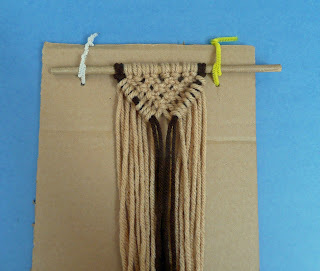 I love macrame but have never made anything. 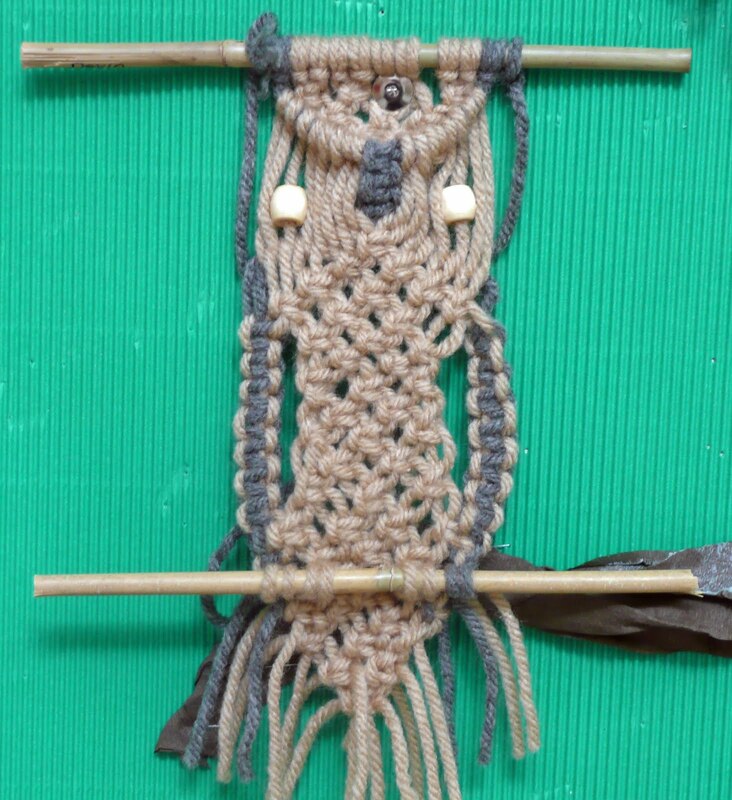 I am now going to make your owl as my first project! 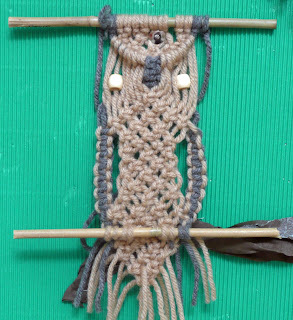 I have finished my first owl using your pattern above and am nearly finished making a second. I think I am hooked! 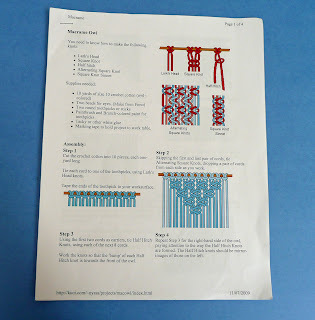 Thank you for your easy to follow instructions - especially good for a beginner like me. The link is broken. Are these instructions still available? They look great, and I'd like to try them out with my children. The original link is no longer available. I found a new one that is not bad and I'll keep searching in case I find another good student friendly one.